Once the duty-free deals have been thoroughly investigated and designer sunglasses tried on, the novelty of being confined to a building with people coming and going from every corner of the world soon wears off. With passengers spending so much time in one space, airports provide the perfect platform for brands to entertain and engage their audience. 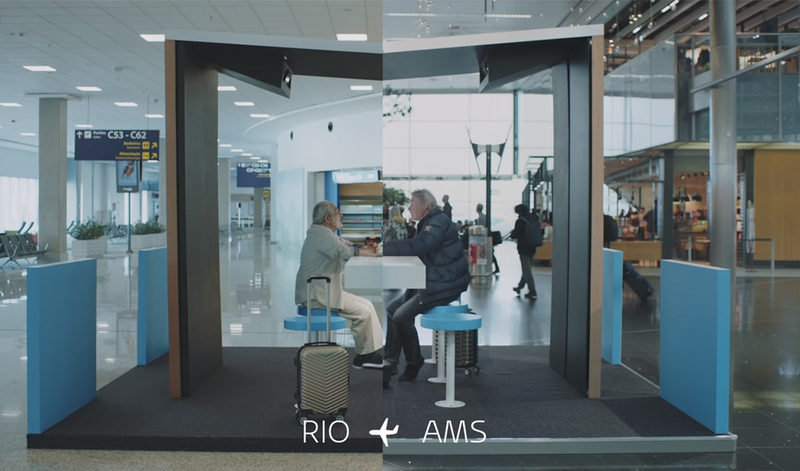 This hasn’t gone unnoticed by Dutch airline KLM who made the most of airport dwell time with an informative and highly-impactful brand experience called ‘Take-off Tips’. Combating boredom while also connecting travellers across the world, KLM set up three branded pop-up bars that allowed people waiting to board a plane to exchange tips face-to-face with others heading in the opposite direction. Bringing people together, the immersive spaces in Oslo, Rio de Janeiro and Amsterdam enabled airport dwellers to communicate in real-time through clever holographic technology. 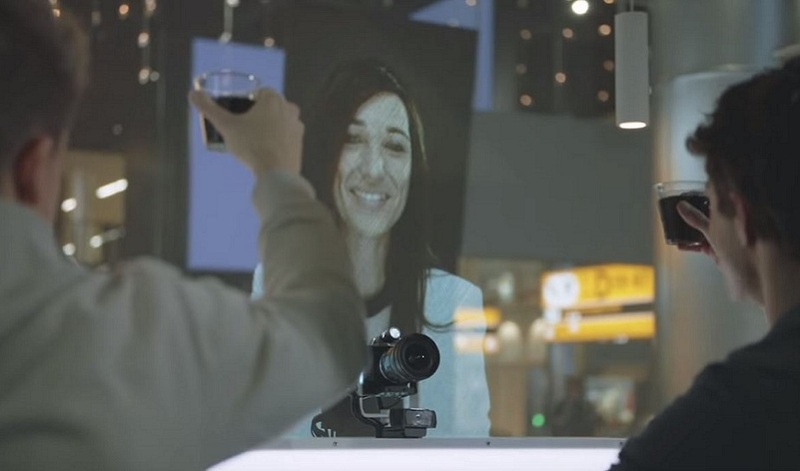 Each pop-up was equipped with a 3D facial scanner, internet connection and a hologram projector that participants could use to talk with someone at their destination airport. Positioned in front of them the person appeared as if they were sat just across the booth rather than hundreds, or even thousands of miles away. Conversations began to unfold, with locals keen to share insider tips for the best food, events and things to see and do with their holographic companions. Any initial uncertainty swiftly changed to delight and intrigue as holidaymakers compared cultural insights and traditions of their home country. Eventually the new companions – who otherwise would have never met – wished each other well, with smiles and waves before departing. 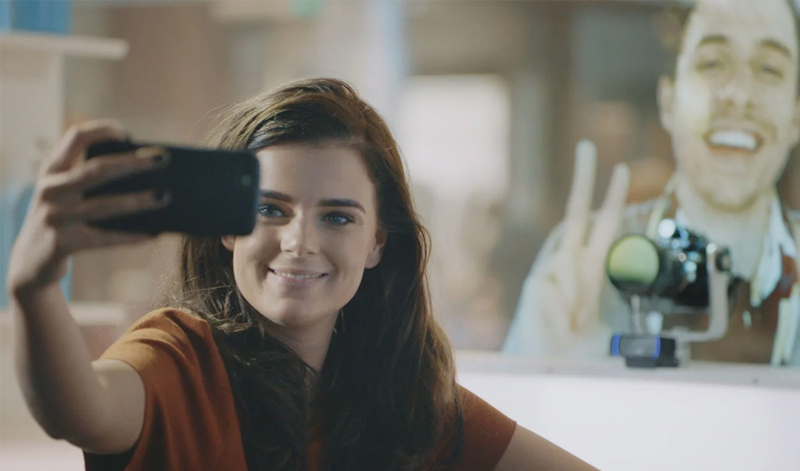 The campaign left a long-lasting impression on its participants and the online video had significant reach on social media, swiftly racking up 867,000 views on Facebook alone. Brand love was built through changing a boring experience into something worthwhile and attaching it to one of the most memorable experiences of them all: a holiday. This isn’t the first time KLM has created an unforgettable customer experience at the airport. The flight operator previously brought strangers together at Amsterdam’s Schiphol Airport with a bonding buffet, and once transformed a fully furnished aeroplane into an Airbnb for a night.